Do you agree that recliners have become an important piece of furniture in all living rooms? Well, they not only add a touch of class to the room but also provide you with the most sought after comfort. However, it can be a little difficult to decide which brand and type of recliner to invest your money in. So I hope these Catnapper recliner reviews will help. Catnapper, an American-based company is among the most prominent companies in the market today and it prides itself on providing a high-quality and unique product. All of their chair’s recline mechanisms are exclusive and have been patented. This means you are guaranteed quality whenever you’re purchasing a Catnapper recliner. Plus, their reputation for manufacturing chairs that are highly durable assures us that they will remain in brilliant condition even after long-term, prolonged use. 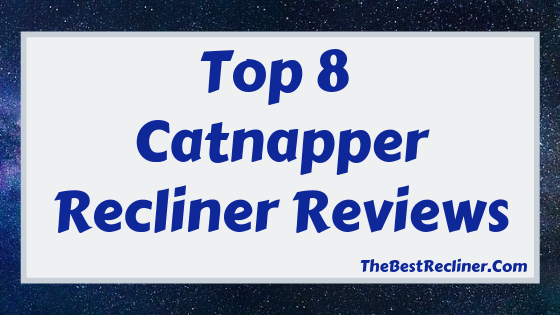 So to help you make a well-informed purchasing decision, I’ve listed below eight of the best Catnapper recliners available in the market today. If you want to know what made it on the list, please keep on reading below. 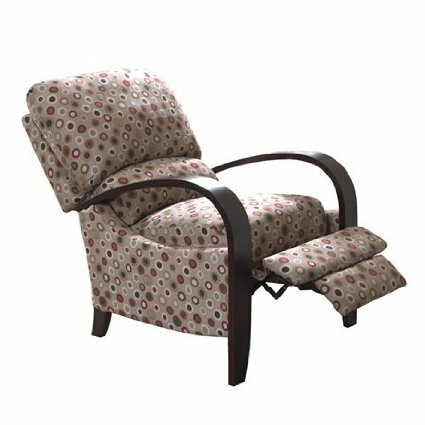 This full lay flat lift chair recliner by Catnapper features contemporary style with durable fabric and construction materials. What I like about this chair is that in addition to a fully reclined position for sleeping, you can also choose from a multitude of angles for watching television or reading your favorite book. It also has a pretty impressive reclining function that is quiet and smooth during operation. Another nice feature is that you can move the back and footrest separately, allowing you to find the perfect position. Plus, a well-thought out style and design makes it easy to get in and out of the chair. The seat box is made of hardwood with steel joints to make sure it will be durable and heavy duty. It uses breathable and easy to clean fabric, which is a combination of acrylic, polyester, and cotton. It has a very comfortable seat, thanks to its gel-infused foam, which is responsible for preventing pressure points on the body. This also helps minimize sagging as well as low spots in the seat. A 400 lbs weight capacity. A back up battery is ready and waiting if there is ever a power outage. You can choose from seven beautiful colors. The available colors are Ash Fabric, Basil Fabric, Earth Fabric, Element Fabric, Midnight Fabric, Spice Fabric, and Vino Fabric. I’m sure you and your family will really enjoy this power, sleeper recliner. The only problem you will have is that it may be too comfortable to get out of. Just one look at this Catnapper Cloud 12 Rocker Recliner and you will immediately see where it got its name. You will find ample cushioning on its back, seating and footrest, and sinking into it will be like lying on a bed of clouds. This remarkable recliner will give you the width that you need in a chair for sleeping along with space for you to stretch out. You have the recliner handle on the side, ready for whenever you want to lay out as if you were in bed. You will be able to curl up and comfortably sleep or just lie flat and relax in this highly cushioned chair. It guarantees comfort, ultimate relaxation and bliss, with its soft, velvet upholstery and plump foam cushions. Its generous padding can give some of the Catnapper recliners on this list some serious competition. Has wooden, engineered frames that keep its quality even after heavy usage. Provides you with enough space to move around while you are enjoying a relaxing afternoon nap or when you’re watching your favorite TV series. 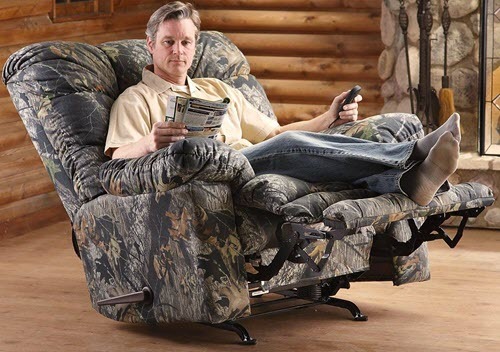 This is a very easy to use recliner. It will not take much time figuring out how to make things work. The controls are simple and very straightforward. You will be able to adjust its position with the use of a handle and there will be a smooth transition from sitting position to a reclining one. This comfy recliner will look great in a bedroom or nursery and its rocker feature will be great for helping you nod off to sleep or helping rock a baby to sleep. What’s great about this chair is that it isn’t so bulky that it will be too big for a small space, it would also work great in your living room if you like to rest near the TV. Remember how much you loved your fluffy teddy bear when you were young? 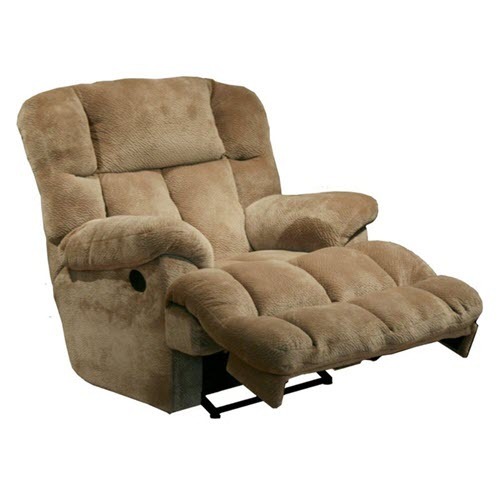 Well, I’m sure you will also fall in love when you see this Teddy Bear swivel glider recliner. Just one look at this recliner and you will immediately feel the strong desire to relax or take a nap. Its back, seating and footrest, come with a generous amount of padding. Sitting on this chair will feel like you are being cuddled by a huge warm Teddy Bear and you definitely won’t have any problems relaxing. This recliner provides ample space, not only on its seating and back area but also on its footrest area too. 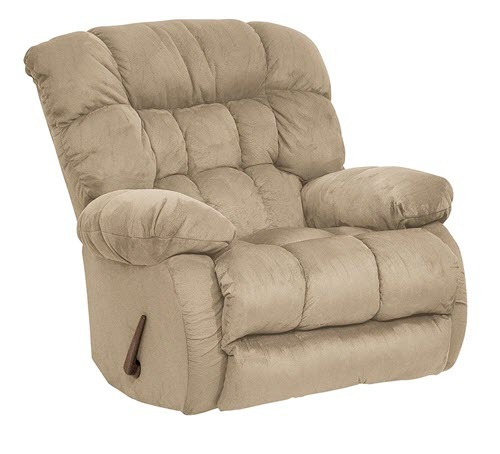 You can sit, lie, recline or even roll around on this swivel glider recliner and still have some room to spare. This chair will not only be an inviting piece of furniture for your eyes or your tired back, but it’s multifunctional too. As its name suggests, it’s a swivel, glider and recliner chair in one. It features Catnapper’s premium mechanism that enables the recliner to swivel 360 degrees, as well as a smooth gliding motion. Also, features the Steel Tech Reclining mechanism for quiet operation. It can comfortably seat people up to 6 feet in height. 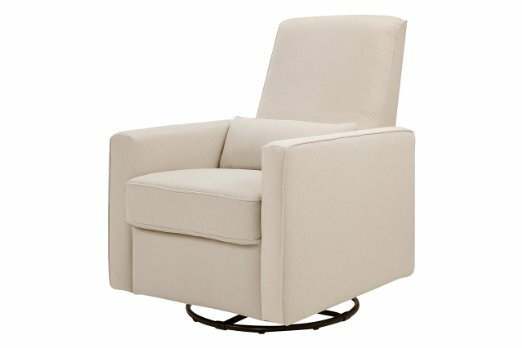 So if you want to add a cozy focal point to your home, this lovely swivel glider recliner can do a great job. You will have the perfect spot to relax and chill out after a hard day. What more can you ask for. 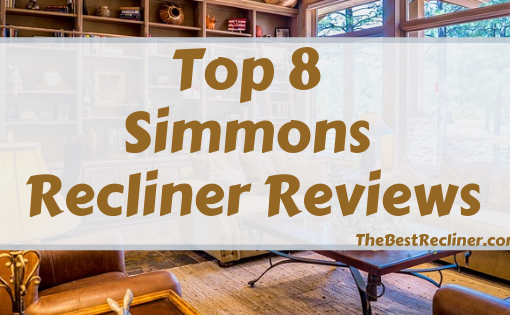 Searching for the best recliners for tall or heavy people can be quite a challenge, but this Catnapper oversized recliner can be the absolute solution. This chair can fit people over 6 feet tall and it can hold a weight of up to 250 pounds. And all you need is a simple push-back motion to get a horizontal position that will allow you to truly enjoy the plump foam cushions, as well as the soft velvet upholstery. This is a very strong and reliable chair, thanks to its steel base that is really tough to bend. It also has an 8 gauge spring system for both comfort and support. It also has an engineered wood frame that has been designed to move smoothly through limitless ups and downs. You can really get maximum comfort from this oversized recliner. Just like the Catnapper Cloud 12 Rocker Recliner, it has been designed for comfort and is comfy enough to sleep in and marketed as feeling like you’ve been “floating on clouds”. 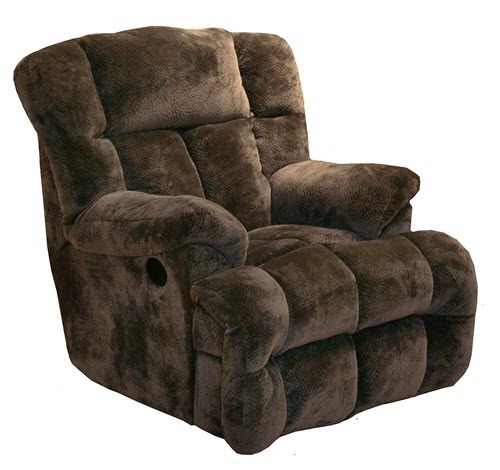 If you are looking for a recliner that would suit your man-cave, then look no further. The Catnapper Magnum Recliner Chair might be the perfect one for you. It comes in a Mossy Oak pattern, which is the number one camouflage pattern in America. But the main highlight here is the incredible features that will make this chair a joy to own. First of all, it comes with a built-in Sensate Heat and Massage feature that gives the chair the ability to heat your body. This feature will really benefit people intending to sleep in the recliner or aid their sore joints and muscles. Its massage option comes with several vibration modes, like pulse or steady. These great features can easily be controlled via the remote control. The chair has been enforced with steel to make sure you get maximum support and durability. This makes the chair perfect for sleepers since they will spend a lot of time in this chair. Its cushioning is not only super thick but also super soft, like you are sitting on pillows. Just one look at this chair and you can tell that it is going to be extremely soft. A relaxing rocker feature to help you relax. This is one of Catnapper’s sturdiest chairs and is suitable for heavy users. In fact, it has a weight capacity of 300 lbs. The Catnapper Magnum Recliner Chair is definitely the kind of guilty-pleasure you don’t want to share with anyone. This chair is perfect for sleeping or relaxing after a tiring and stressful day at work. And of course, its Mossy Oak design will surely match your outdoor lifestyle and will bring a touch of the outdoors into your home. Are you suffering from weight or mobility issues? Or maybe you had recent major surgery and it’s difficult for you to move around. If so, then this power lift chair may be just what you need in your life. 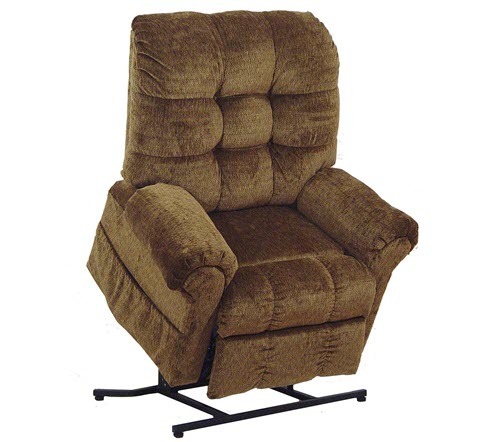 The great thing about this heavy duty lift chair recliner is that it gives you your freedom and independence back. You no longer have to call for help whenever you have to get in or out of the chair. I really like how you can stop the recliner seat to whichever position you find most comfortable. And of course, if you want to fall asleep you can lay this chair fully-flat. This gentle, power motion is suitable for all levels of mobility. It comes with an easy-to-use handheld wand that allows you to control the power-assisted standing and sitting, including the recline. It comes with a battery pack that you can activate whenever there’s a power failure. Has quiet and safe movements, thanks to its sturdy frame design as well as its heavy-gauge coils. It offers infinite-position power recline so you will find a position that will suit you best. It features no-gap cushions, unlike most recliners that are built with a two or three-piece seat and leg rest cushion. This means that it is fully cushioned from top to bottom, to provide you with total comfort. This also provides added safety, as it avoids a toddler’s fingers getting stuck in the open gap. So if you or your loved one have limited mobility issues, purchasing this power lift Catnapper Omni 4827 can be a game changer. This will not only help your elderly family member but it’s for anyone who is experiencing difficulty sitting down and getting back up again, perhaps due to an operation, illness or accident. This super comfortable chair will definitely be a stylish addition to any home. 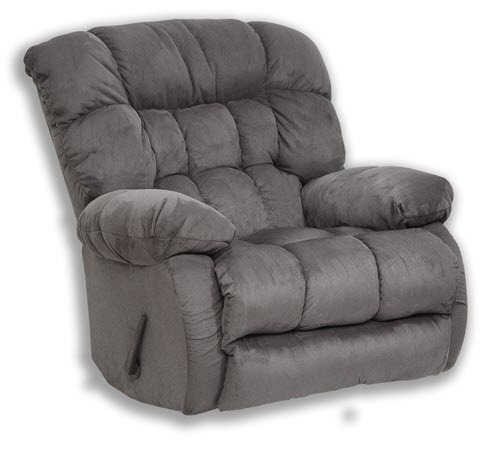 Here’s another Catnapper recliner that is filled with incredible features. One of its main features is the power recline feature that allows the chair to fully lay flat. This is a great feature that enables you to sleep or nap comfortably in the chair. It will now be possible to stay in the chair for prolonged periods of time without being uncomfortable. This is especially very helpful for those who are suffering from long term injuries or those who are recovering from recent surgery. What makes it even more amazing is that it comes with extra lumbar support that further helps the recovery process and makes sure you will get the utmost rest and comfort. It comes with a power headrest so you will have the best position to fully relax. It is made of soft polyester fabric that is very comfortable and highly durable. Has ample cushioning on its seating, back as well as footrest areas. And is easy to use with its straightforward and simple controls. You can adjust its position with just a single use of a button. 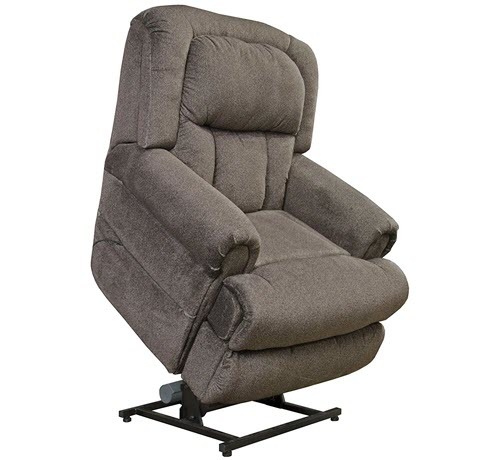 This spacious and comfortable recliner is not only great for its power lift features but is also great for sleeping on its fully lay flat capability. This is another remarkable oversized wall hugger recliner that is not only sturdy and durable but is also great to for short naps or watching your favorite TV series. This seat only measures about 21-inches across but you can make it wider by pushing over the arm cushions. It is a very cozy, inviting recliner with the bonus of being a wall hugger. 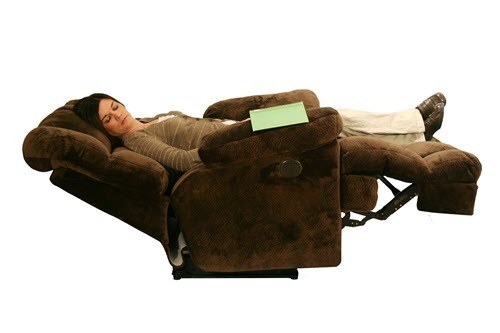 A wall hugger recliner is great for getting all the benefits of a recliner without taking up too much space. With this recliner you won’t have to pull it away from near the wall, every time you want to recline it back. 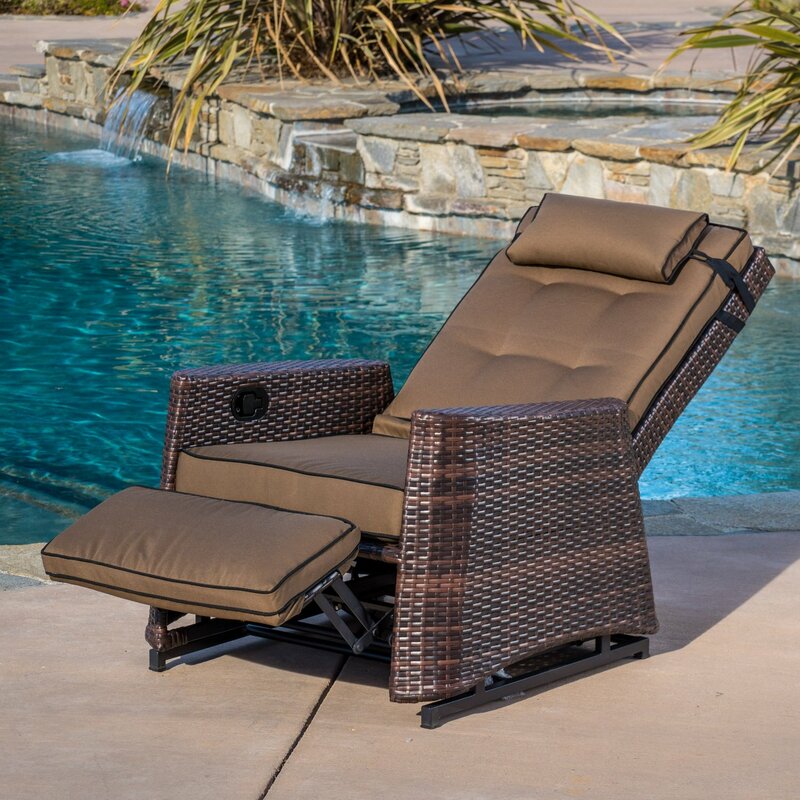 It is almost a gravity chair since it will allow you to raise your legs just above your waist, whenever it is fully reclined. Plastic sliders can be found in the bottom area, to avoid any kind of skinning on your laminate floor. This also helps make it less irritating and noisy, whenever you slide it over. You can lay down fully flat on this chair, making it ideal for sleeping. This recliner is definitely one of the fluffiest chairs you will ever see. Sitting on it will feel like you are sitting on a bed of pillows. So, if you want a chair that comes with as much cushioning as possible, this is the best one you can get. Catnapper recliners are definitely some of the best chairs for relaxing and sleeping and are like a pillow for your body. And what’s even more impressive is they can accommodate so many different people. Whether you’re a tall person, a heavy one or suffering from limited mobility, there really is a Catnapper to suit your needs. 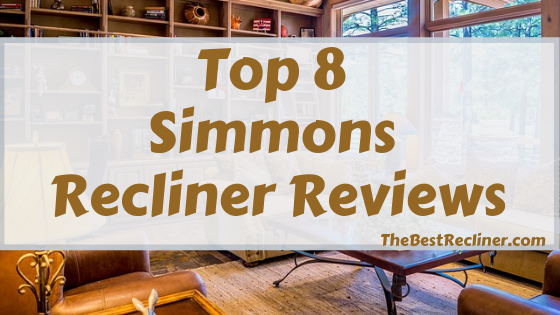 I hope you found these Catnapper recliner reviews helpful and will be able to find a recliner that will cater to all your comfort needs. If you still have any more questions, please drop it in the comment section below and I will get back to you as soon as I can.